Increasing attention given to roof fall hazards from OSHA and Insurance companies has tripled our Roof Rail System sales in the last year. The sky is the limit when it comes to Roof Rail opportunities. Join Ideal Shield in protecting workers while increasing your sales. Falls are the leading cause of worker fatalities. Each year, between 150 and 200 workers are killed and more than 100,000 are injured as a result of improper safeguarding. 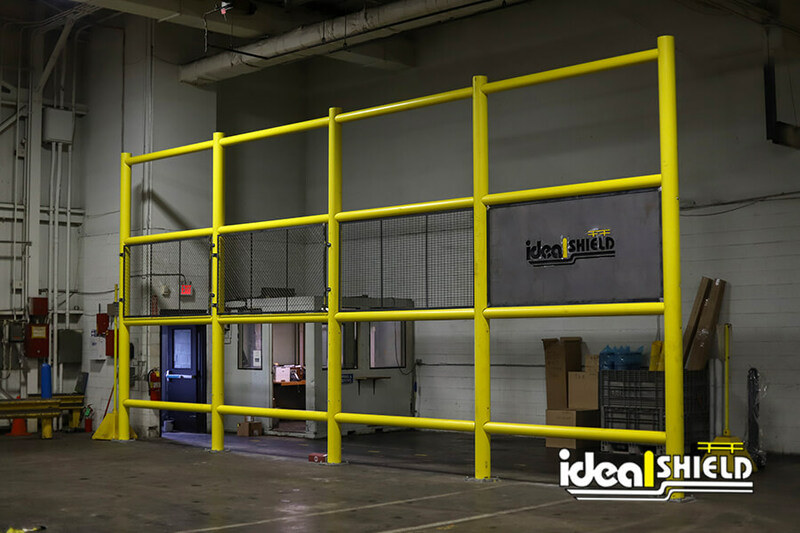 The Ideal Shield Roof Railing System meets OSHA load requirement standards and is fabricated to protect workers and prevent accidents. Advantages of using a roof rail system opposed to a harness system is that it allows multiple people to move safely and freely on the roof. Also, roof guarding can be used multiple times whereas safety harnesses and safety nets have limited life expectancies. • Available in a variety of colors, styles and designs!